When you’re looking to invest, it’s important to take the time to look for a reputable business whose ethics you can trust, whatever the kind investment you are aiming to make. Here’s a cautionary tale from one unsuspecting gold investor in New York. Beneath it’s thin veneer, this 10 oz gold bar was filled with tungsten, a cheap metal with an almost identical weight to gold. With gold having a value of roughly $1,800 per ounce, (making it a $18,000 investment) this bar has a disappointing true worth of $50. Not much of a return on that gamble then! 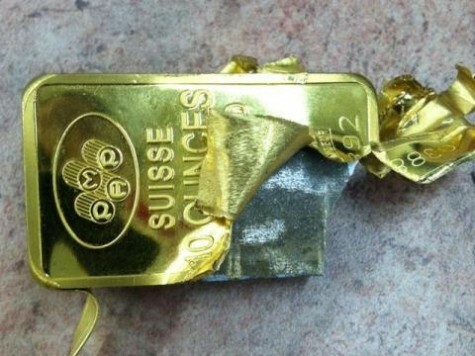 Reports have it that these fake gold bars have been flooding the market across Europe for some time. Are we surprised to hear the banks may be full of it?? But in these ruthless times it is inevitable that opportunists will find ever more inventive ways to disunite the people from their spare cash..
Perhaps it’s time for the investing public to change their world view; choosing to invest in personal development, and in people, communities and local projects that share similar ethical values – this kind of intervention must surely bring great returns for all to enjoy.